Bought for $400,000 at the Fasig-Tipton March 2YO Sale earlier this year, promising colt Nyquist (2c Uncle Mo x Seeking Gabrielle, by Forestry) confirmed his potential when bounding away to win the Grade II $200,250 Best Pal Stakes at Del Mar on Saturday by a big margin. 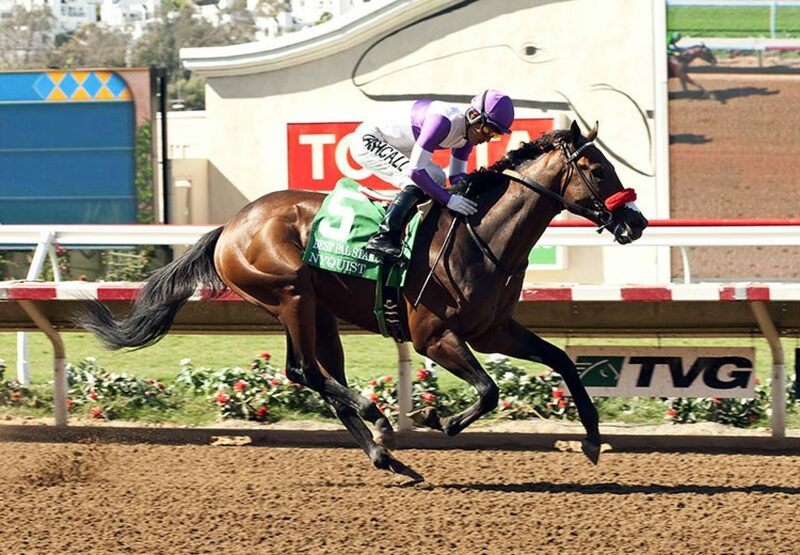 Prepared by Doug O’Neill, Nyquist won narrowly on debut over five furlongs at Santa Anita on June 5, but looked a more seasoned competitor this time around. “I think it’s safe to say he stays number one of our two year-olds,” Doug O’Neill said. “Physically and mentally, he’s the best. But you never know, things can change so quickly, good and bad, for two year-olds. If he stays injury-free, he’s got the mind of a champ.” Nyquist stalked the pace before surging clear unchallenged to win the six and a half furlong contest by more than five lengths in a dominant display. “It didn't really go as we thought, the pace was slower than we expected early,” O’Neill said. 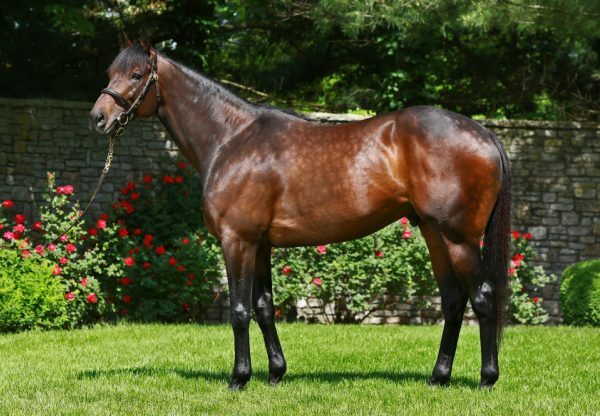 “But Mario (winning rider Mario Gutierrez) got him settled down behind a slow pace and he finished strong and showed the quality that he is.” A $180,000 weanling and then a $230,000 yearling, Nyquist has impressed at every turn in his life so far and may get the chance to go all the way with the Grade I Del Mar Futurity on September 7 a likely option for the talented colt. 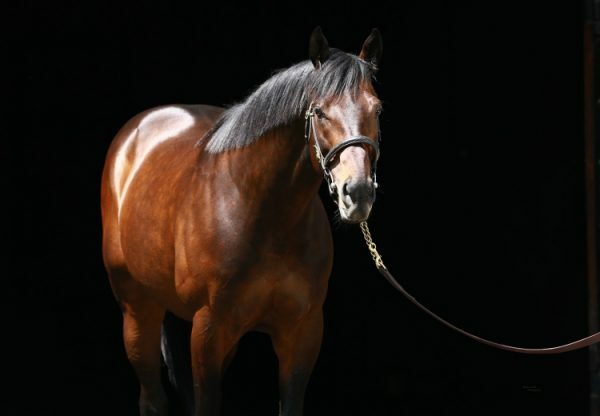 Raced by Reddam Racing, Nyquist is the first winner for well-bred Seeking Gabrielle, a half-sister by Forestry to Grade III winner Seeking the Sky, the dam of Grade I winner Sahara Sky. 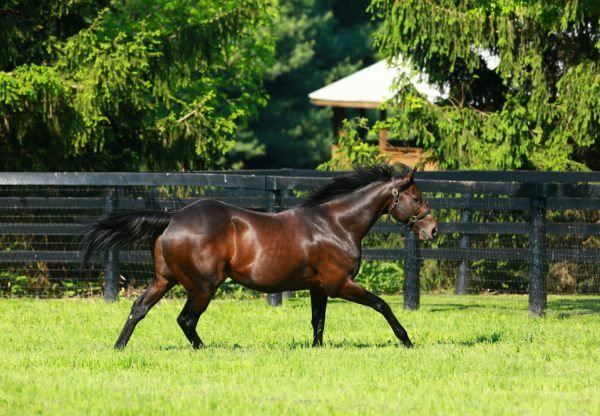 Currently leading the US First Crop Sires List, Uncle Mo has gotten off to a flying start with his stud career as you would expect of a former Champion 2YO. Nyquist is his second stakes-winner following on from Uncle Vinnie, winner of the Grade III Sanford Stakes last month.